Home » Latest News » CUROP students under the spotlight: CUROP in the sun! CUROP students under the spotlight: CUROP in the sun! 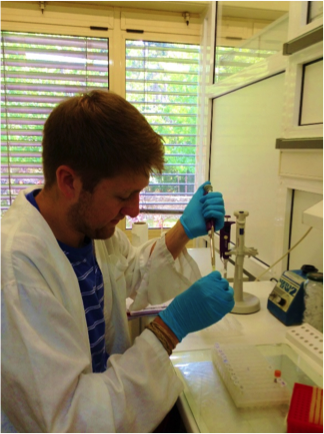 CRIPES member Mike has packed his bags and jetted off to Portugal this summer for his CUROP research internship at the Research Centre in Biodiversity and Genetic Resources (CIBIO). Mike’s internship, supervised by Dr. Raquel Xavier, will allow him to complete a year-long study on freshwater fish parasites, first established at Danau Girang Field Centre, Malaysia. By emmagillingham in Latest News on August 3, 2014 .